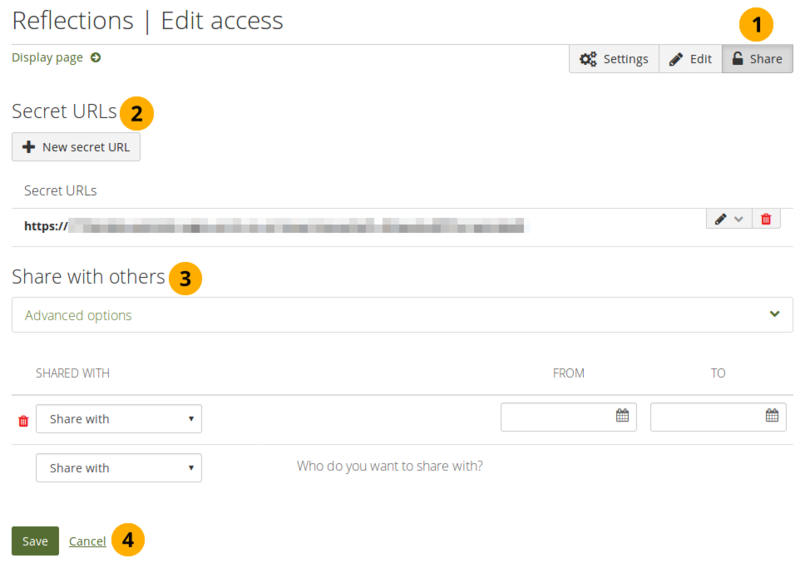 Share: Decide who shall have access to your page (or collection if the page is part of one). 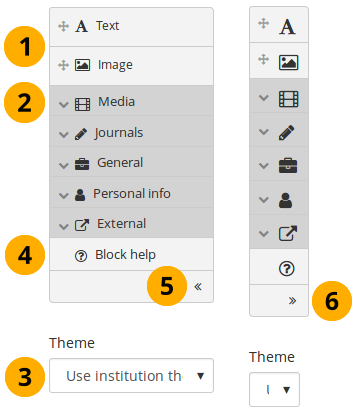 See “Edit access” for more details. 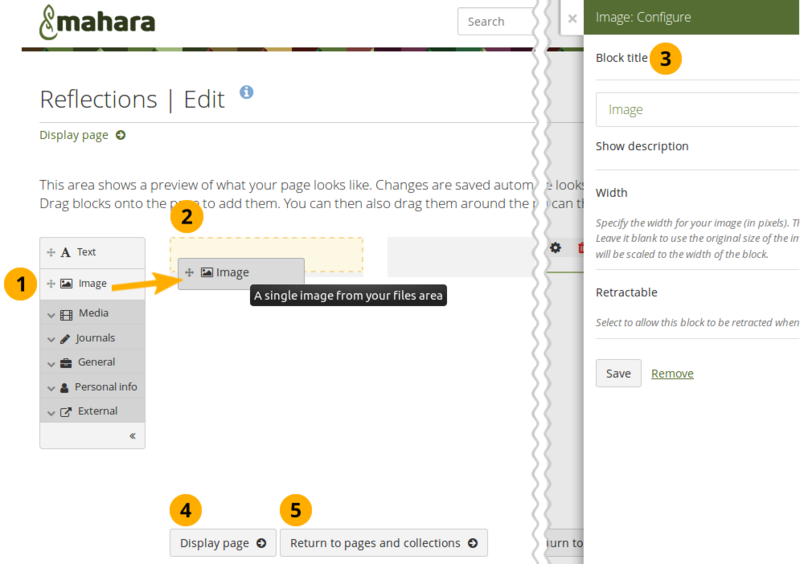 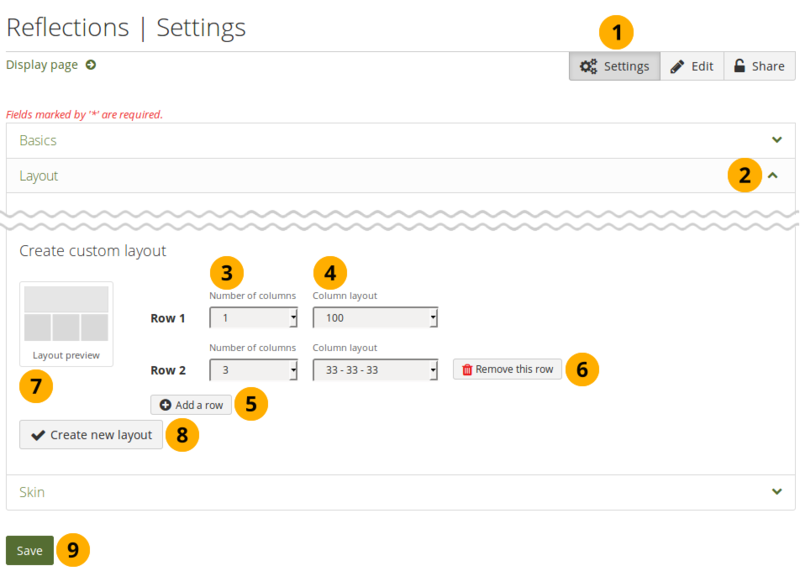 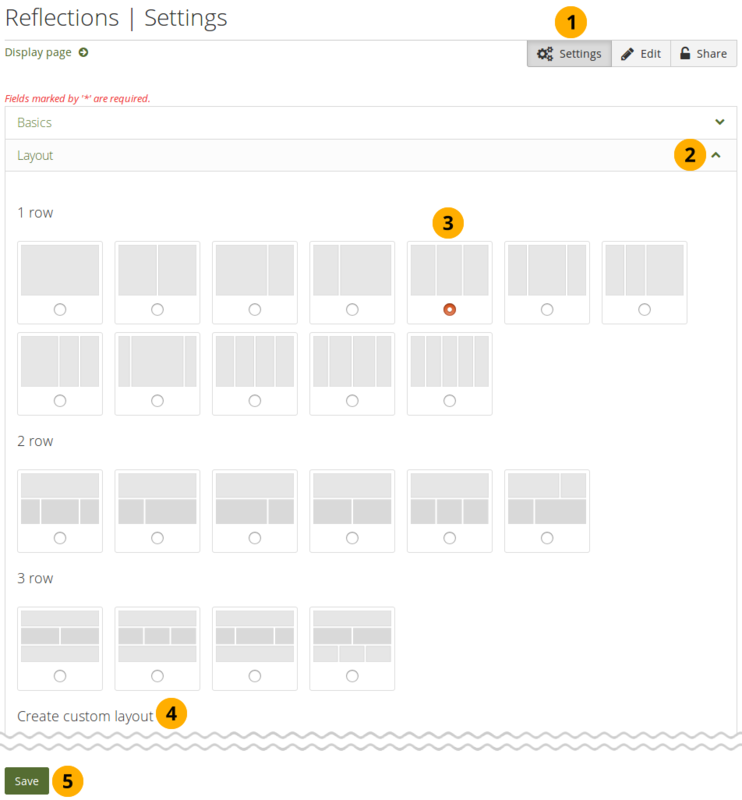 Click the Block help icon to be taken to the user manual’s block section for the version of Mahara that you are using.